(Nanowerk News) A unique combination of materials developed at Rice University, including a clay-based electrolyte, may solve a problem for rechargeable lithium-ion batteries destined for harsh environments. The lithium-ion chemistry-based battery revealed this week is robust enough to supply stable electrochemical power in temperatures up to 120 degrees Celsius (248 degrees Fahrenheit). Such batteries could find use in space, defense and oil and gas applications, among others. Chemist Pulickel Ajayan and his colleagues at Rice and at Wayne State University in Detroit describe the material this month in the American Chemical Society journal ACS Applied Materials and Interfaces ("Quasi-Solid Electrolytes for High Temperature Lithium Ion Batteries"). A clay-based compound invented at Rice University is an electrolyte and a separator for lithium-ion batteries for use in high-temperature environments. This discovery, like earlier work on supercapacitors by the lab, depends on the malleable qualities of bentonite clay and room-temperature ionic liquids that serve as both a separator and an electrolyte system and provide a conductive path between a battery's anode and cathode. 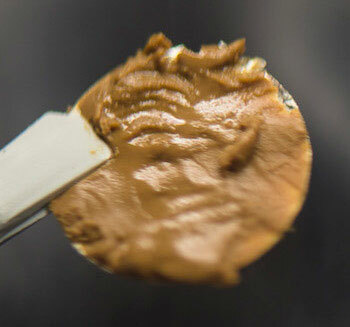 "Clay naturally has a lot of moisture in it, and that's not a problem when you're doing supercapacitors," said Kaushik Kalaga, a graduate student in Ajayan's lab and lead author of the new study. "But a battery has to have a lithium-ion conductive species in the electrolyte to conduct lithium ions from the cathode or anode, or vice versa, when you charge and discharge. "Lithium is very reactive with water, so our first challenge was to eliminate water from the clay while keeping its structure intact," he said. Conventional organic electrolytes cannot be used in batteries over 60 C, due to their low boiling temperature; the vapors that form beyond 80 C can lead to an explosion, Kalaga said. 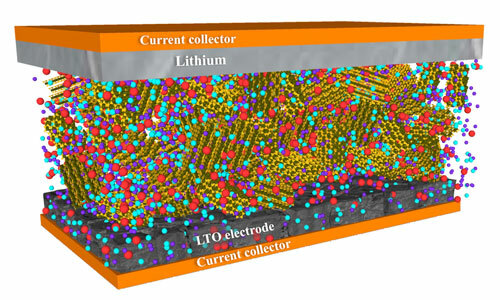 Batteries that have solid-state electrolytes work in high temperatures, but the electrolytes don't connect as well with electrodes, which hurts performance. "It's able to produce pretty good performance at room temperature, but it gets better at higher temperatures," Kalaga said. "The clay-based electrolyte gets less viscous but still retains its consistency at least to 150 C. The next step is to push the limits further." The nature of the material makes it suitable for forming into many types of batteries, from thin films to commercial-scale units, the researchers wrote. "There are many applications that need energy storage devices to work in extreme environments, and there needs to be innovation in the materials systems, particularly electrolytes, to expand the window of operation conditions," Ajayan said. "Our lab is at the forefront of discoveries in this area."